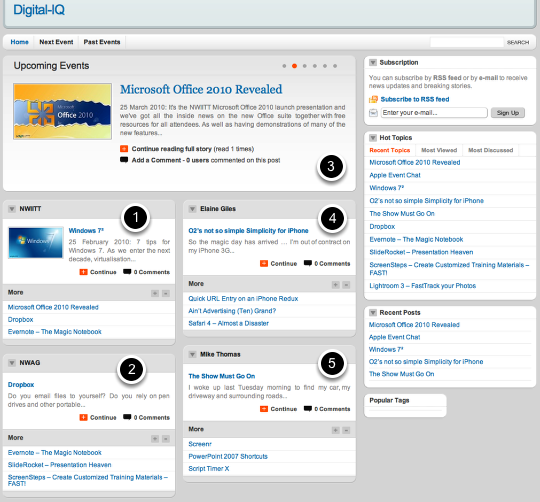 Digital-IQ.co.uk is a digital services provider and provides an integrated and unified access point to a range of events from several groups. Digital-IQ is a digital services provider to several organizations who run events locally in the North West of England and online via Adobe Acrobat Connect Pro. These include amongst others NWIITT, the North West Adobe Group (NWAG) and the MacBites podcast. 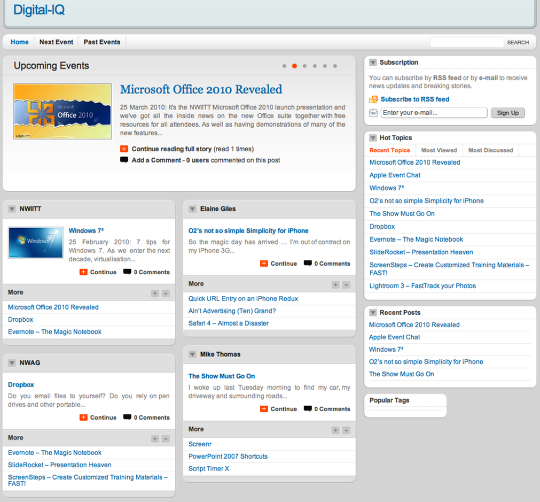 What Information is at Digital-IQ? At Digital-IQ you will find details of upcoming events for NWIITT, the North West Adobe Group (NWAG) and the MacBites podcast (1), (2) and (3). You will also find links to blog posts of interest (4), resources and other tips and tricks (5).